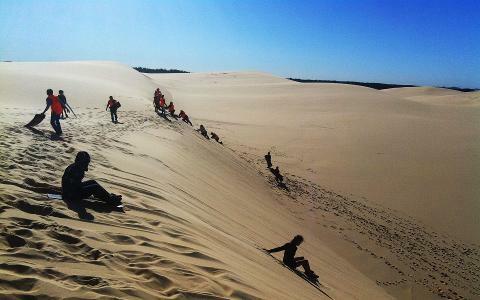 4 or more riders are required for this tour to operate The 1.5 hr Aboriginal Culture & Sand Boarding Tour departs daily when we have the minimum number of riders. 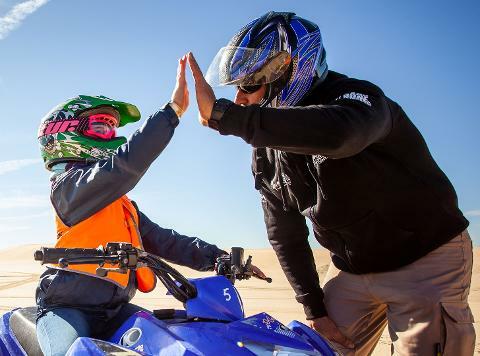 Live the adventure that promises you a Quad Riding experience like no other with Sand Dune Adventures. Experience the magnificence of the Worimi Sand Dunes on Stockton Beach, riding safely from bush to beach with our expert guides. 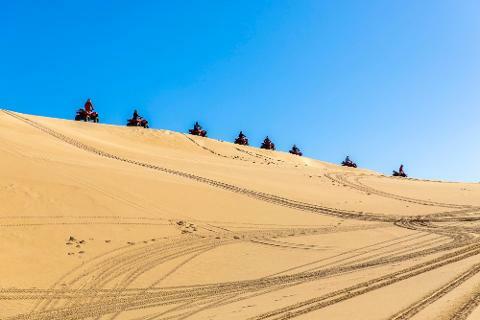 Our 1.5 hour ride to takes in the wonders of the highest sand dunes in the southern hemisphere, the glorious views of the sweeping coastline and learn about history of the land. 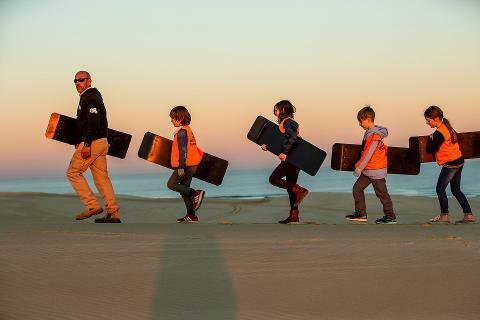 In this Aboriginal tour you dig for fresh water, learn about Bush resources, ride past ancient camp sites (middens) & sand board down one of the largest sand dunes on the beach. 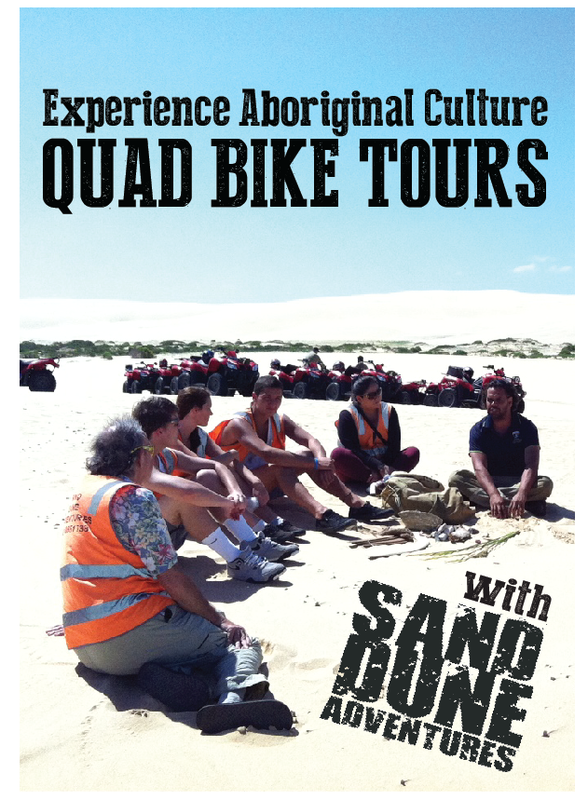 All of the Sand Dune Adventures Quad Bike tours are tailored to meet the needs and experience of the customers. So if it is flat out or cruising we have the adventure for you. Sand Boarding can be added to the 2 hour quad bike tour. No licence is required. 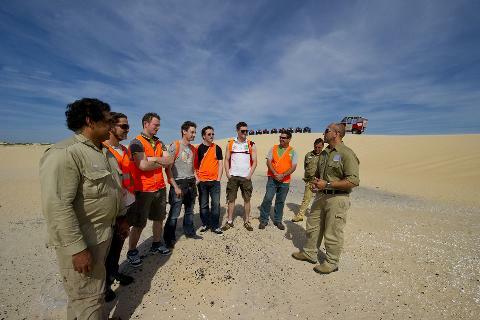 We are the only tour company that has access to the highest sand dunes on Stockton Beach. 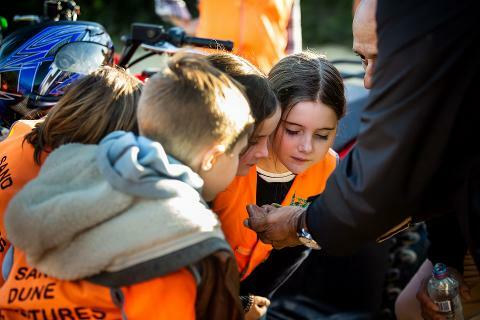 All quad bike tours are conducted in a tag-a-long (single file) format, with each rider instructed to leave a safe distance (5-10m) between themselves and the bike in front. Clients are instructed to stay in the riding line (tracks) of the person in front of them and not to veer off on their own track or ride erratically (no overtaking and no side by side riding). Clients are provided with a riding helmet and hi-Vis safety vest. Child policy: Children 7 to 17 years may participate on any tour with written parental consent. ** If booking for children an adult MUST accompany them on the children's tour in the low sand dunes and for safety will only go slow. Sunglasses – Stockton beach has white sand and can get very glary on your eyes as you are riding along. Sunscreen – We would not like you to get sunburnt. Dress warmer for winter months. We still go in the rain so please bring wet weather gear or change of clothes if there is a possibility of it raining. Note: 4 or more riders are required for this tour to operate please call SDA for more information if you would like to book.